Free lessons on how to draw horses. Learn to ride and care for a horse. Find out about prehistoric horses. Throw a horsy party. Find great horse stories. Sara, my daughter, on Tim, a Swedish Warmblood, doing dressage. Visit a virtual 4-H kid’s horse farm and learn just about everything a kid might want to know about horses. A lovely multimedia site you’ll really enjoy. Brought to you by the Virginia Horse Industry Board. From prehistoric horses to recent breeds, this site has information about all the breeds all over the world. Lots of photos and stories behind each breed. Learn the names of the parts of a horse. Read a brief overview about the horse. Saving yourself and your horse from serious injury whether in the barn or on the trail. Site for the young horse lover and owner. Lots of easy to understand care tips. A series of YouTube videos on how to groom a horse. Be sure to look at the related videos, too. You may subscribe to this video maker, if you wish. This video will show you how to get the feel and grace of a moving horse in your drawings. Well, I got the pug uploaded now I will be submitting a lesson on another cute animal, and this time it was requested. Here is “how to draw a foal“, step by step. As you know a foal is a baby horse, and when they are born they almost immediately stand up and start walking. Their legs are long and skinny, their manes are spiked like a zebra, and their tails are stubby bushes. Step by step you’ll learn to draw a dynamic white stallion. Running horses are beautiful and graceful creatures. However, they can be one of the hardest animals to draw. I will show you how to draw this majestic creature, referencing their basic anatomy to make sure you create a natural pose. You’ll also learn about horse gaits to draw realistic and dynamic poses. The study of the horse would not be complete without learning about the horse Alexander the Great rode into battle – Bucephalus. What horses looked like from 55 million years ago to the present time. Most fascinating is the section about how horse’s feet evolved over time. Grade 5-8­. In prehistoric Western Asia, horses are seen as a source of food and nothing else. However, Fern, who has always had an affinity for animals, is about to change that perception. When she discovers a young mare caught in a bog, she figures out how to rescue and befriend her, and eventually how to ride her. Invite partygoers to horse around at your child’s horse birthday party. Use the following ideas to create a festive atmosphere that your guests will remember for a long time! Use as resource for a homeschool event. A Pinterest board. Agendas hurt relationships. Find the curve of compromise. Make the right thing to do easy. A better trainer means less training. Leadership by the 4 C’s: Command. Control. Communication. Compassion. Excerpt from the book by Allan J. Hamilton. It doesn’t get much better! Here’s a few tips for safe and enjoyable ride. 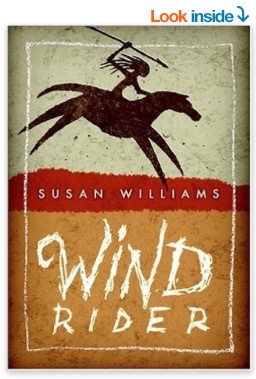 You may click to look inside and read some of this delightful story about a boy and the wild horse he choses to tame. The Andalusian, also known as the Pure Spanish Horse or PRE (Pura Raza Española), has been recognized as an individual breed since the 15th century, and its conformation has changed very little over the centuries. Strongly built, and compact yet elegant, Andalusians have long, thick manes and tails. Their most common coat color is gray, although they can be found in many other colors. They are known for their intelligence, sensitivity and docility. The horses were originally used for classical dressage, driving, bullfighting, and as stock horses. Modern Andalusians are used for many equestrian activities, including dressage, show jumping and driving. The breed is also used extensively in movies, especially historical pictures and fantasy epics. Young Rider is an equestrian magazine for young riders that teaches them how to ride and look after their horses properly. 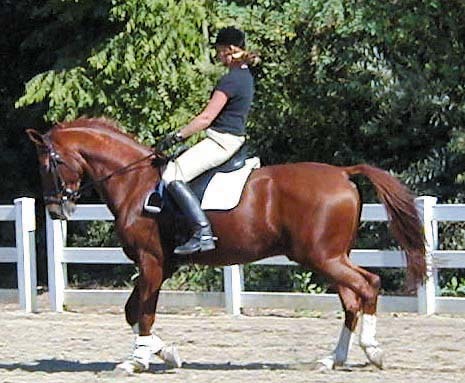 Young Rider offers riding instruction, horse care information and horse interest features. Plus, every issue of Young Rider also includes a breed profile, a quiz, a puzzle page, a pen pal section and reader pictures and contributions.